"All my life I've kept my mouth shut - out of loyalty, out of fear... out of shame. And look where it's got me, lying here with my rear-end hanging out of a blue gown, all you lot fussing around me. Sure, that's no way to live. No way to die." Holding On: The Troubled Life of Billy Kerr is a co-operative game where players work as nursing staff tasked with providing care for the terminally ill. Your latest patient has been rushed in following a massive heart attack on a flight from Sydney to London. When the game begins, all you know is this - his name is Billy Kerr, he is sixty years old, and he has been given days to live. Players must work together to provide Billy with appropriate care, responding to medical emergencies while gaining his trust. Over ten fully replayable Scenarios, you will need to piece together a lifetime of memories while being drawn deeper into his troubled past. As you discover more about Billy, can you help him find the courage required to confront the three regrets that keep him holding on? Dealing with themes of dying and regret, Holding On: The Troubled Life of Billy Kerr invites players to experience the extraordinary life of an ordinary person in their final days. 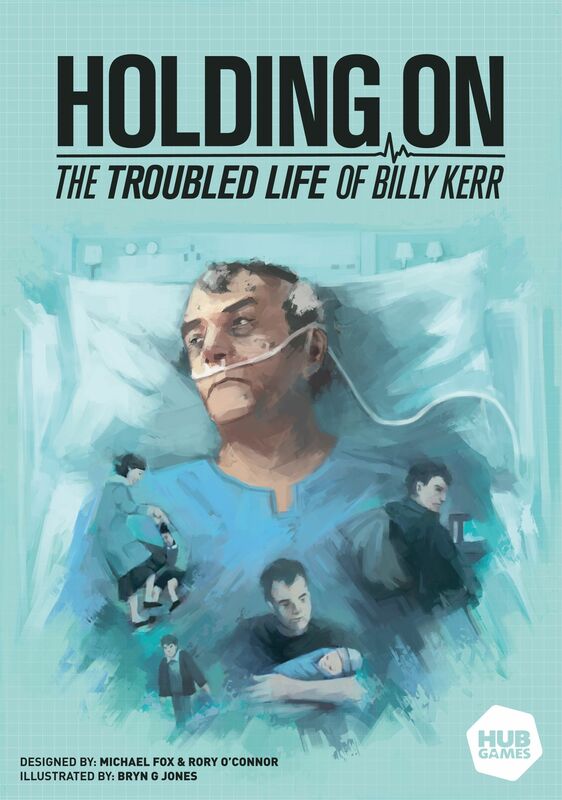 Wenst u het gezelschapsspel "Holding On: The Troubled Life of Billy Kerr" aan te kopen?